A regional youth skills camp will be held in Boise on June 14, 15, 16. Michele StanWeins, a Level 2 Certified USAT Coach is conducting the camp. The youth camp will be held from 8am to noon each day. 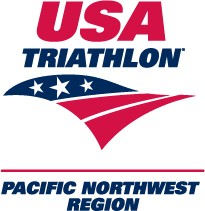 Travel assistance to the camp is available to all PNW Youth Triathletes. Contact Ann Gilbert, USAT-PNW Chair, for an application for travel assistance at agilbert601@gmail.com. Coaches from throughout the PNW are being invited as well to participate and assist with coaching the young athletes. More information on the camp can be found at www.performancehigh.com/youth.php#clinics1. Terry Laughlin will talk at USAT-PNW annual membership meeting June 12 in Boise at the Grove Hotel from 4-6:30pm. He will speak on two different topics. The first talk is titled “Why the Difficulty of Swimming is a Gift” and the second will be a talk on “Perpetual Motion Freestyle”. The annual membership meeting will be short and squeezed between the two talks. We are interested in your feedback and ideas for the following year. Stay tuned to FB for more on the Terry Laughlin talks.